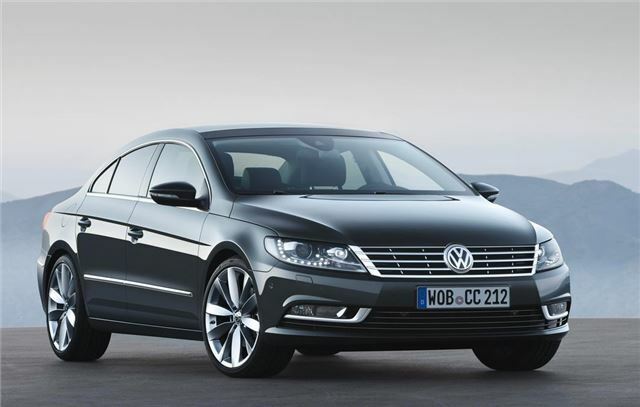 Volkswagen has facelifted the Passat CC and given it a (slightly) new name - the Volkswagen CC. The styling changes include a new grille with horizontal lines bringing it in line with the rest of the Volkswagen range including the recently facelifted Tiguan. The revamped model goes on sale in the UK in early 2012 with the first cars due to arrive in March. Other revisions include new xenon headlights, a reprofiled bonnet and an updated bumper with an extra intake. The frameless doors are carried over from the previous model but there are more sculpted sills and the rear lights have been redesigned with LEDs now incorporated. The CC comes well equipped as standard with a standard driver alert system, as found on the Passat, and front head restraints with four-way adjustment, to reduce the risk of whiplash. New options include High Beam Assist, which automatically controls dipping of the headlights, Side Assist, which monitors the vehicle’s blind spot, Lane Assist and adaptive cruise control with City Emergency Braking function, front climate seats with massage function and an electrically deployed towbar. The engine range includes 1.8-litre TSI 160PS or 2.0-litre TSI 210PS petrols and a 2.0-litre TDI common rail diesel with either 140PS or 170PS. All models with 170PS or more also now get a standard XDS differential, an electronic cross-axle traction control system for improved traction and handling.